To keep your garage door in good condition, it's necessary to conduct a number of safety tests and maintenance tasks on a fairly regular basis. For example, we recommend visually inspecting the door on a monthly basis by closing the door and standing inside the garage, and looking around. Check the cables, pulleys, roller springs, mounting hardware and hinges for any possible damage. Any wear and tear should be closely monitored and in case something needs proper repair, you should consult with one of our trained service technicians. Be sure to close the door and to disconnect the automatic opener first. Then manually lift the door and keep it fully open while repairing. A door that is tough to open and does not stay open indicates a balance problem - it's likely to need servicing. We also recommend conducting a reversal mechanism test on a monthly basis. According to the law, it is mandatory for all automatic opening doors to feature a mechanism for reversal in the event someone or something is in the way of the door. Your sensors or photo eyes are a part of this - to test the function, place an object underneath the door, in the path of the sensors, and command your door to close. If it doesn't reverse, this feature needs attention. You can try some initial troubleshooting by taking a soft and dry cloth to clean the photo eyes - sometimes dirt can be the reason for these components to stop operating properly. 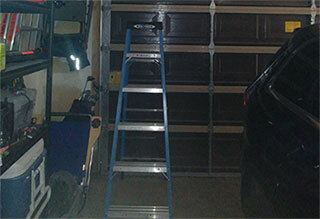 Another important monthly test for garage door systems is the force setting test. Trigger the door to close and check to see if there is any gap left at the bottom, or if the door appears to be slamming shut and hitting the ground. If either or these two things are happening, it's likely that the force setting needs to be adjusted. You should have no space left at the bottom but the door shouldn't be hitting the ground either. Detected some problems that need treating following one or more of these tests? Contact our local professionals at Garage Door Repair Fremont for speedy assistance.